480300 | LeakGuard™ Spotgun™ Jr. Injection Kit - CPS Products Inc.
What is LeakGuard? 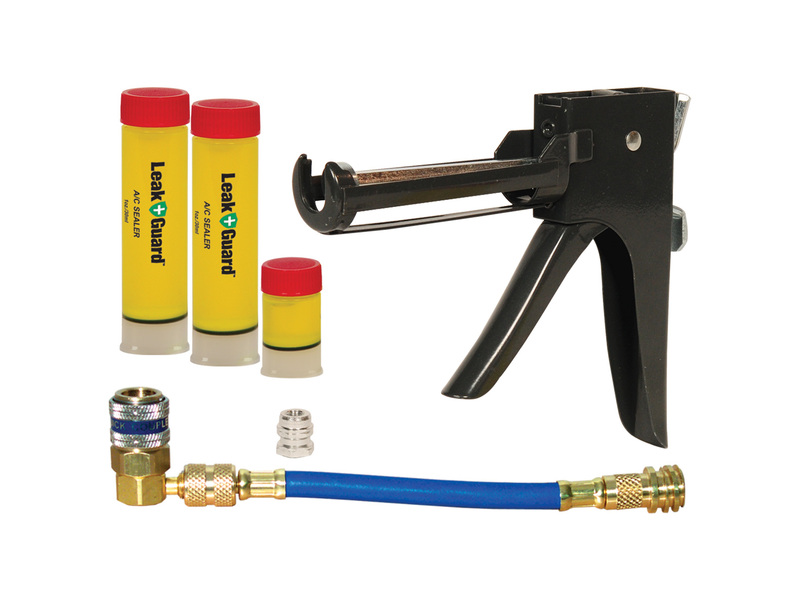 LeakGuard permanently and safely seals A/C leaks in both rubber and metal components. The first A/C Sealant available to be Certified to meet SAE J2670 Standard! Unlike other A/C sealants, LeakGuard is an oil based sealant that does not have any of the dangerous side effects. It will not harden, crystallize, clog the A/C system or harm the recovery equipment. Specifically formulated for slow leaks that can occur over a 6-12 month period (or a leak rate of 25oz/708g) per year. It can safely remain in the A/C system and prevent leaks from occurring in the future – an excellent preventive maintenance product!